Quicken continues transforming its contact center operations in the midst of the Genesys-Interactive Intelligence integration. As we learned last week from Genesys CEO Paul Segre, the company has spent the six months since acquiring Interaction Intelligence with "do no harm" and "don't break anything" top of mind. "We're beginning to understand piece parts of how we're going to get synergies across the company. ... We didn't break anything -- that's good; [and] now we're entering the next phase, which is developing the product," Segre said. That it's been successful in phase one is something to which at least one former Interactive customer, Quicken, can attest. Ian Roberts, operations leader for the Quicken personal finance software business, was present at last year's Interactions event, telling us at the time that the company had a particular need for professional services as it migrated from its on-premises CaaS setup to PureCloud. The need for a strong professional services relationship only grows after implementation, he said last year. Now a year later with Genesys now taking the reins, Roberts has several observations to share about how things have changed and the outlook ahead. While its provider was morphing into a larger entity through acquisition, Quicken has been undergoing growth of its own. Over the course of a year, Roberts' operations team grew from six to seven, now charged with supporting 700 agents, up from 500 a year ago, handling about two million calls and chats annually. Roberts considers Quicken -- and Genesys agrees -- one of the largest pioneers on PureCloud, a position that earns it a "bigger seat at the table," he said in a one-on-one conversation. "We had a heavy hand in helping to direct the prioritization of features." As an example, Roberts told me how Quicken product development teams worked with Genesys engineers to add screen share capabilities, via WebRTC, to its PureCloud implementation. Since rolling out the feature, Quicken has saved five minutes, on average, on typical call handling time. "We can do more with less agents." Another feature Quicken "pioneered with Genesys" is a premium support service it's been offering since January, Roberts said. 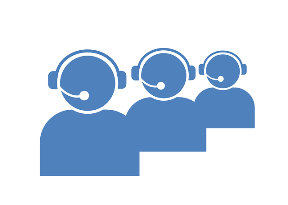 Quicken customers who purchase premium support, at a cost of $49.99 annually, get bumped to the front of the call queue. It works by having premium support customers call a special 800 number that triggers PureCloud to dip into Salesforce for priority verification and routing to the front of the line. This is the first care service offering Quicken has been able to monetize, Roberts said. And customer response has exceeded expectations, with thousands of customers opting in, he added. While you won't catch Roberts talking bad about how Interactive ran its business, he did say Genesys seems to have a much more defined focus on where it wants products to go. Further, Genesys is meeting his need for professional services, and then some. "Genesys has also made a significant investment in us," Roberts said, explaining how the executive team leading Genesys PureCloud recently made a trip out to Quicken headquarters in Tucson, Ariz., for a full-day session to "hone in on things we want fixed or implemented quickly." The takeaway is that Genesys is "very focused on services and understands the value of having services associated with offerings," Roberts said. "We definitely feel like we have the ear of Genesys whenever there's anything we want or need," he added. Quicken also is appreciative of the opportunity it has to beta test Genesys offerings, "because it can help challenge our assumptions," he said, pointing to WebRTC as an example. "We've been using it for screen sharing, but it can also do video. Now, some of us might not think our customers are ready for video, but we have the option and ability to test that." With this sort of flexibility, Quicken is able to define what it wants the experience to be for its customers, Roberts said. "Not only can we define it, we can refine it at a moment's notice. And having a solution that allows us to do that is like gold." But Genesys still has work to do around APIs, which Roberts said he thinks are "the future." Quicken especially wants APIs for reporting. 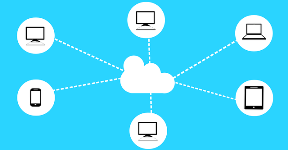 "If there was an 'I wish' with PureCloud, it's better reporting," he said. And in regard to the blended AI approach Genesys is taking with Kate, the customer service-specific digital assistant it introduced last week, Quicken is a bit more hesitant to jump in, Roberts said. "I'll be frank," he said, "I think we'll watch the whole AI thing with great interest. I think we're cautiously optimistic that it'll work but we have to see it in action. I'd love to see somebody else do it first." All in all, Quicken's relationship with Genesys is "symbiotic," Roberts said. "When we're not happy, they know."